“a visual vocabulary consists of images that can be drawn in place of a word or a sentence. At the start of each week (Sunday) I will start the week off with a group of doodles for the prompt of the week and the hashtag for the week (usually goes as [#] 52wvv_week[no.] ). 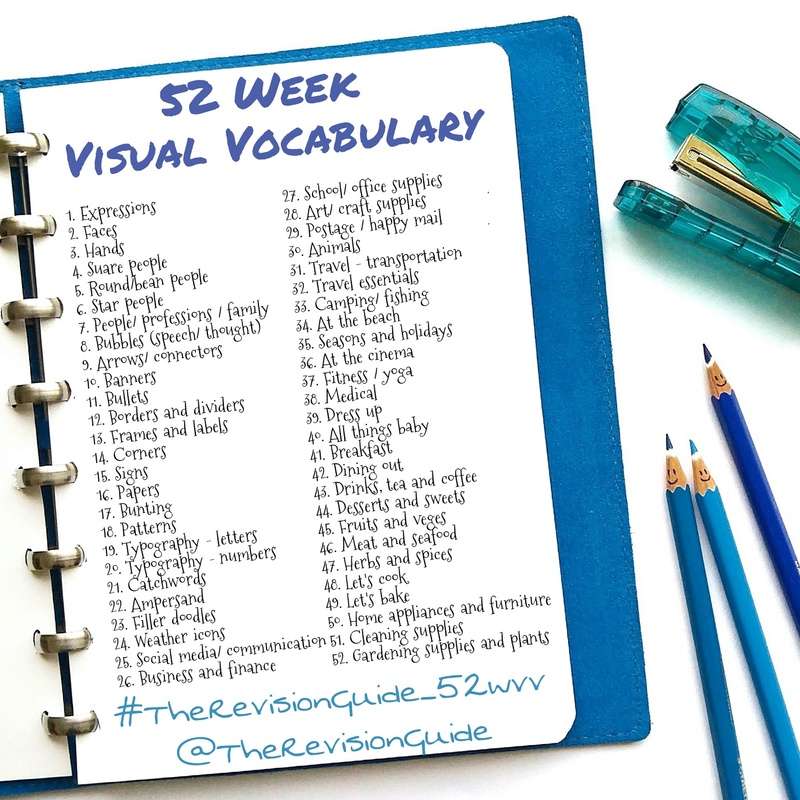 Through the week I would add more images (and my usual how to draw steps when possible), along with reposts of anyone else who joins in , so that, together, we all create our very own ‘virtual’ visual vocabulary  and all you would have to do is look back at the hashtag for doodle inspirations  .